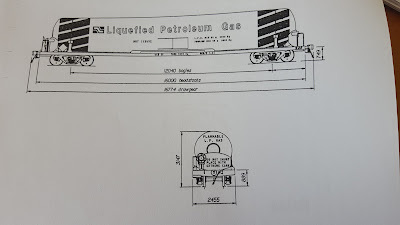 Lewis Holden's blog on modelling 1990s New Zealand Rail in NZ120 (1:120) scale. I've taken over as the webmaster of NZ120.org, so I won't be blogging here from now on. 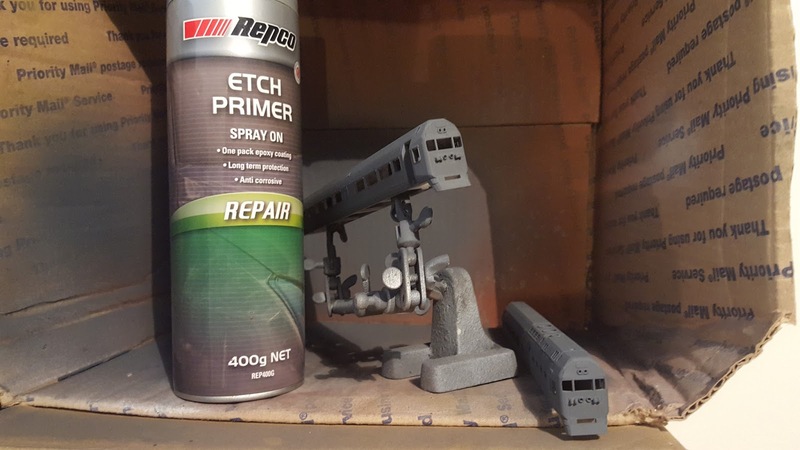 A commenter asked recently what I use for primer - I use Repco's Etch Primer spray. 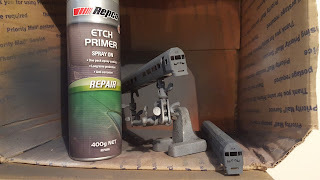 It doesn't contain the solvents other etch primers I've used seem to have (I'm guessing because it's meant to be used on cars, which these days have a lot of plastic parts). 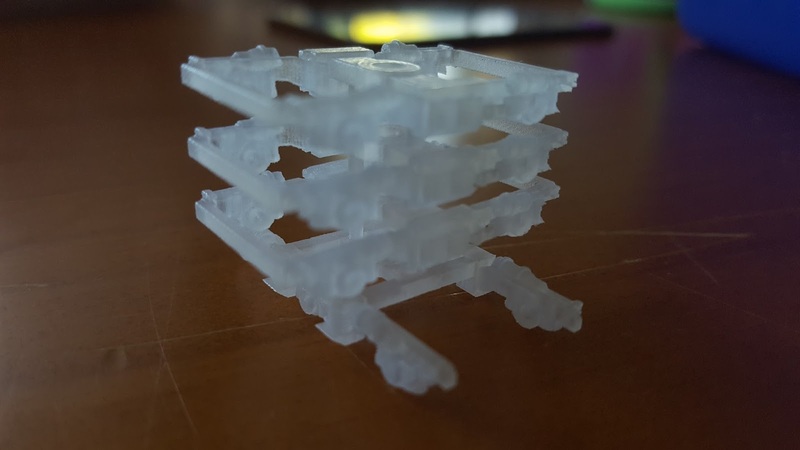 Finally got started on my Silver Fern model from Peter's Shapeways print of the RM class. First step is the usual Acetone bath and scrub down with a toothbrush. 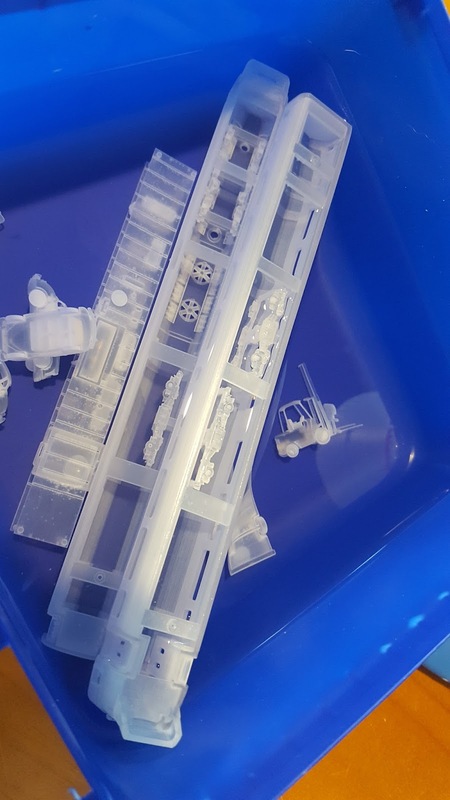 Second step was letting it dry off... and putting it back into the box, where it'll probably sit until I find time to do something about it. Stolen from NZ Rail Geography, posted by Andrew Hamblyn. 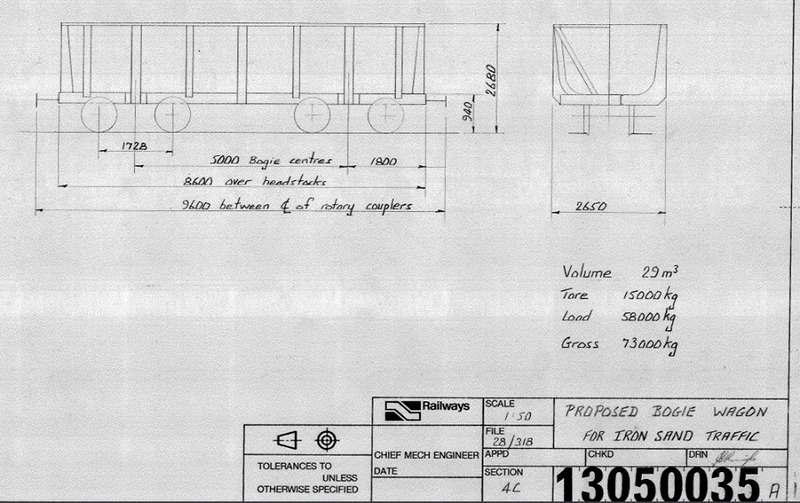 The above plan showed up recently on the NZ Rail Geography group - from the what might have been file. It's a plan for a wagon to carry iron sand for NZ Steel from their Waikato river iron sand mining site to their steel mill at Glenbrook. Every foamer worth their salt knows the old Waiuku Branch in south Auckland, a typical rural service branchline, was closed in 1967 only to be reopened in 1968 with a spur to the then new steel mill at Glenbrook, and sees some heavy freight these days - coal and lime inwards and steel billets for export outwards. The remaining section between Glenbrook and Waiuku was closed, only to be reopened by Glenbrook Vintage Railway. What I never knew was that there was a proposal to use rail to move the raw unprocessed iron ore from the mining site to the mill. However locals objected and a slurry pipeline was built instead. Railnet - the rail network infrastructure owner, operations manager and maintainer. 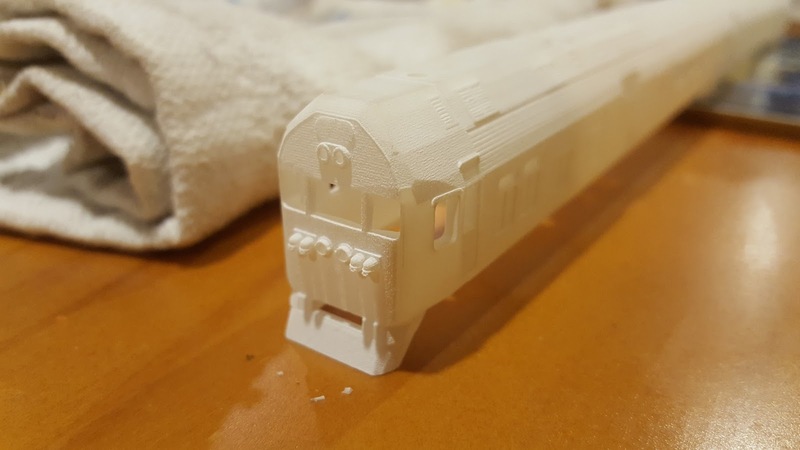 Technically Railnet is just the trading name of the New Zealand Railways Corporation, which has become a not-for-profit statutory corporation. Railnet owns all the track, bridges, tunnels, overhead, yards, telecommunications and network operations centres across the country, and its significant land holdings from which it draws revenue, as well as its rail user charges for the use of its network by the rail operators. Cityrail is the urban commuter network operator. In 1994, Cityrail Auckland was purchased by the Auckland Regional Council and renamed ARC Metro, while in Wellington the Wellington Regional Council entereted into a joint venture with Stage Coach to run the Wellington metro service, contracting the haulage of the Wairarapa and Palmerston North services. Intercity is the long-distance rail passenger operator, purchased in 1994 by the Intercity Group, itself the former Railways Road Services. Railfreight (who also own the Interislander) is the largest of the businesses spun off from New Zealand Rail, being the freight business. In 1994 Railfreight was floated on the New Zealand sharemarket, with the Port of Tauranga, Ports of Auckland and Mainfreight all taking large shares. Transtec Engineering the workshops have also been spun into their own business, this time with Downer Group taking a significant shareholding. 5000 class, formerly known as the DX class. The 5000 class are being converted to the 8000 class, one of which was originally classified DXR. 9000 class, new CM30-8 type locomotives manufactured by Gonian in Queensland. 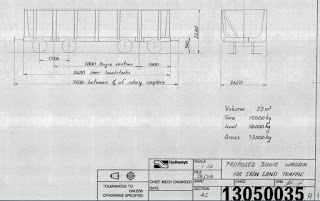 More details on these wagons at NZ Railways Rolling Stock Lists.